The Raoul Wallenberg Centre for Human Rights’ Honorary Co-Chair, Göran Persson. 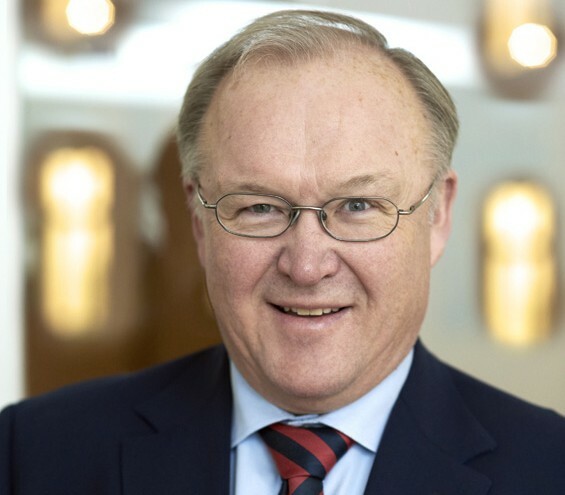 Göran Persson was Prime Minister of Sweden from 1996 to 2006 and the leader of the Swedish Social Democratic Party from 1996 to 2007. He spearheaded the historic Stockholm International Forum Conferences. This included major international gatherings on the "Holocaust – Education, Remembrance and Research;" on "Combating Intolerance;" on "Truth, Justice and Reconciliation;" and on "Preventing Genocide – Threats and Responsibilities." Under Göran’s leadership, the Swedish Government pursed an active foreign policy aiming at promoting international peace and development. Göran remains strongly committed to, among other things, reducing unemployment, securing quality and equality of education, improving the integration of immigrants and refugees, protecting the environment and contributing to a world in peace and freedom. He was Prime Minister during the Swedish Presidency of the European Union in 2001, where important decisions – both on domestic and foreign issues –regarding the EU were taken.